ISS has been providing, for over twelve years, its residential customer base with the very best quality of service across the audio, visual and home networking areas of its business. The ISS engineers are Part P electrically qualified which means you can be safe in the knowledge that any work undertaken will be finished to the very highest of safety standards. 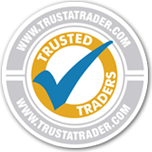 ISS’s customer feedback reflects its customer commitment with an average score of 9.9/10 on checkatrade.com and over 1300 reviews and also over 1700 reviews on trustatrader.com with an average of 4.9/5, is furtherproof of that ongoing commitment. ISS engineers provide expert advice and, because a strong local presence, can respond to calls quickly and promptly. To locate your nearest ISS engineer, simply enter your town or postcode into the box below. Whatever type of television you have in your house, an LCD, LED, Plasma or any other type of Intelligent 3D flat screen television, our skill at transforming a mass of wires into an invisible feature is renowned. From standard wall-mounting solutions for flat wall fittings, right the way up to motorized wall mounts, the ISS team are able to install all the various types of television wall mounts. From the smaller televisions through to 60" televisions, you can rest easy knowing that when you use ISS, mounting your TV to the wall is carried out by an experienced engineer and fastened securely to the very highest of standards. There also won’t be any wires cluttering up your new AV experience. With such a significant degree of experience, it makes little difference whether you are planning on installing sky digital, sky plus, sky plus hd, sky 3d or freesat, the fact is that there are a lot of choices now available in the satellite television market. One of the problems is that you may not have the space required to make a satellite installation dish possible, and you might have been given the impression that watching satellite channels where you are based is virtually impossible. As it is, ISS has helped many customers resolve the problems the major satellite providers argue makes installations prohibitive. This means that our customers are able to watch all the channels that they wish. Whether you are looking to install famous brand names, such as Kef, Yamaha, Sony or Bose, right the way up to leading industry systems, our ISS engineers can match your vision with the technical know-how to make this a reality. It doesn't matter if you're moving from 5.1 to 7.1, the experience of the ISS engineeers mean that you AV installation service is complete. If you're looking to take control of home audio easily, then the Sonos solution could be the right choice. Our fully trained home audio engineers are able to provide you with support and installation services to make sure that the multi-room system works perfectly. Are you Experiencing Wireless Network and Internet Connectivity Problems? With more and more connectivity being shared around the house, getting your Iphone, Ipad, or other Android portable device to connect with your wireless network is not as straightforward as it might at first appear. By the same token, Xbox, Playstation’s and Smart televisions connecting to your computer network can reveal a few headaches’s that ISS has been quick to remedy for its clients. Our home networking engineers are available on call-out to help resolve home connectivity problems and make all the devices that you and other family members use, work harmoniously together. ISS has resolved problems for clients using BT as well as other internet services providers, and has also been able to increase the navigation speeds in some cases. Contact 0800 135 7916 to be put in touch with our local office right away. Our list of services (above) are not exhaustive, but are listed here to be illustrative of the types of services that our team of engineers can respond to. ISS Electrical knows that customers sometimes wish to have a completely bespoke solution in their house, and with over 12 years in the business, the team of engineers have the necessary experience to help realize these in practice. Whether you have ambitious ideas or simply need some support to make your home network or AV system work as smoothly as it was sold to you, you can find an ISS technician nearby.